Brewer Description: (from website) The story of the jam jars gave us an idea. 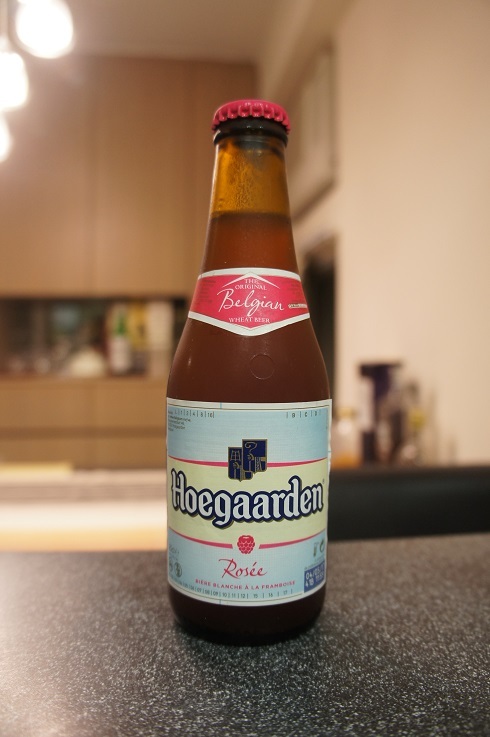 Hoegaarden Rosée. 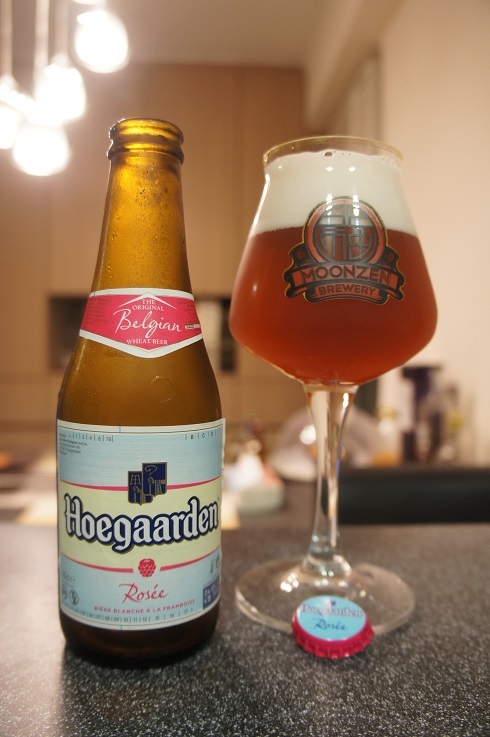 It might be pink but it is very much a wheat beer. It also features the soft taste and subtle colour of raspberries. And while it doesn’t feature a higher alcohol percentage, it does mean you can enjoy it even more in the sun. Intro: A 250ml bottle with a best before date of 4th May 2017, poured into a Moonzen teku glass. Appearance: It poured a cloudy reddish pinkish orange colour with a two finger off white head that dissipated quickly and left some lacing. Aroma: Sweet candy raspberry and strawberry with perhaps a touch of grape juice. Taste: Sweet candied raspberries followed by apple juice. The finish is somewhat watered down such that any taste becomes really weak. Overall: I’m actually fine with the artificial candy berry flavours, but that taste on the finish of being watered down is what disappoints me most. 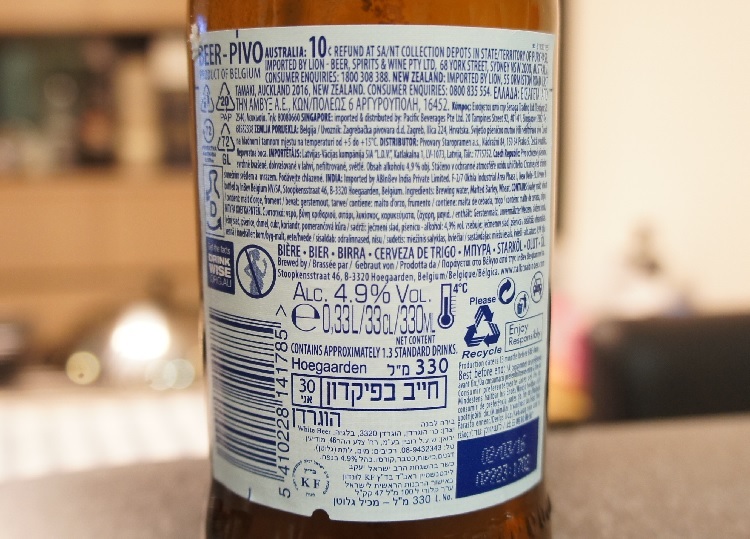 Brewer Description: (from website) 500 years of hard work went into making this beer that features the aroma of orange peel, coriander and herbs that the merry monks imported from sunny Curacao. 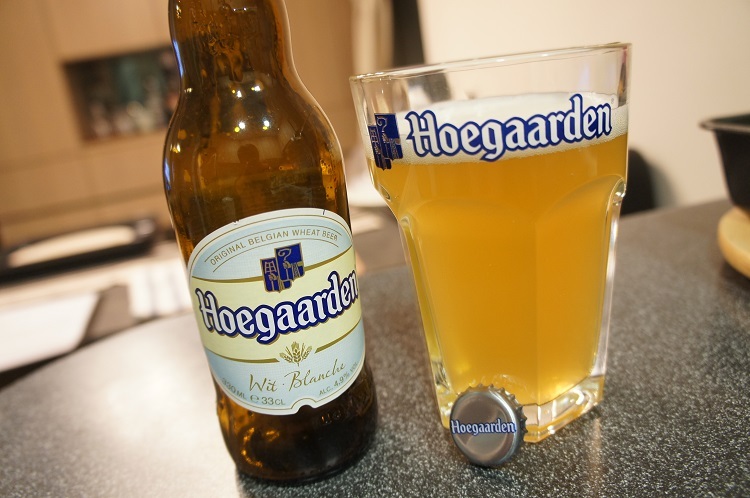 Speaking of which: pouring Hoegaarden is just like letting the sun fall into your glass: light yellow and naturally murky. And the soft foam adds a cloudy finish. And then there’s the soft taste, light and slightly sweet and sour and with subtle citrus notes… ah, just go ahead and taste it instead of reading about it! 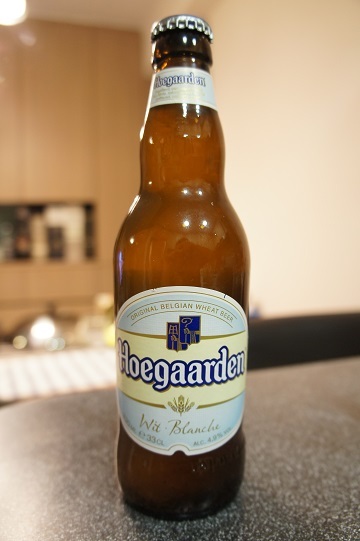 Intro: A 330ml bottle with a best before date of 2nd March 2016 and poured into a Hoegaarden pint glass. Appearance: The beer poured a hazy straw yellow with a one finger white head that dissipates slowly into a thin creamy layer with nice curtain like lacing. Aroma: Starts with wheat bready malt aromas before leading into some banana, honey, spice and bubblegum. Taste: Some breadiness at the beginning followed by banana, honey sweetness and a tinge or citrus orange and clove to finish. Overall: A good beer that is refreshing and quite tasty. 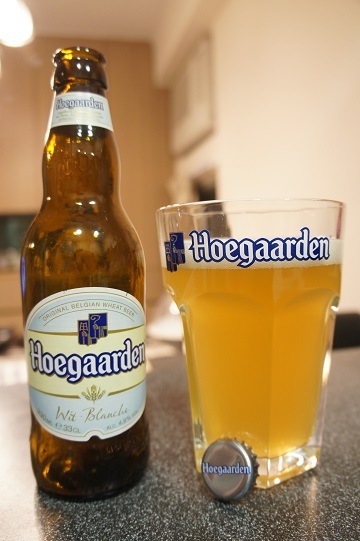 Internationally, it is probably the most recogniseable and easily accessible witbier. In Hong Kong its price is very competitive as most good craft is at least double the price.